Okay, so I’m an outfitter, and yes, I have a business in Argentina. This article isn’t about any of that. It is about what you need to know if you want to go, and how to figure the cost of going. For 15 of the last 20 years, I was a consumer. I did my research, booked my own flights, paid my money, and went hunting. That changed five years ago, but I believe that, now as an outfitter, with a lot of real world experience, I have a moral and ethical obligation to educate and explain to potential Argentina wing shooting hunters how to put together this hunt of a lifetime and what it really, really costs. Get your pencil and paper and write some of this down. It will help you. Basically, there are three types of people when it comes to Argentina. 1. People who have never been and will go, if not this year, then next year or the year after, but they are going. 2. People who have been, had a great experience, and will go again. 3. And, lastly, people who believe in their hearts they will never be able to go, or those who have gone and who will never go again – and the reasons for both these thought patterns are too many to list here. If you are in group 3, skip this and read some of the really interesting stories and articles in Shotgun Life. If you are in group 1 or 2, read on. 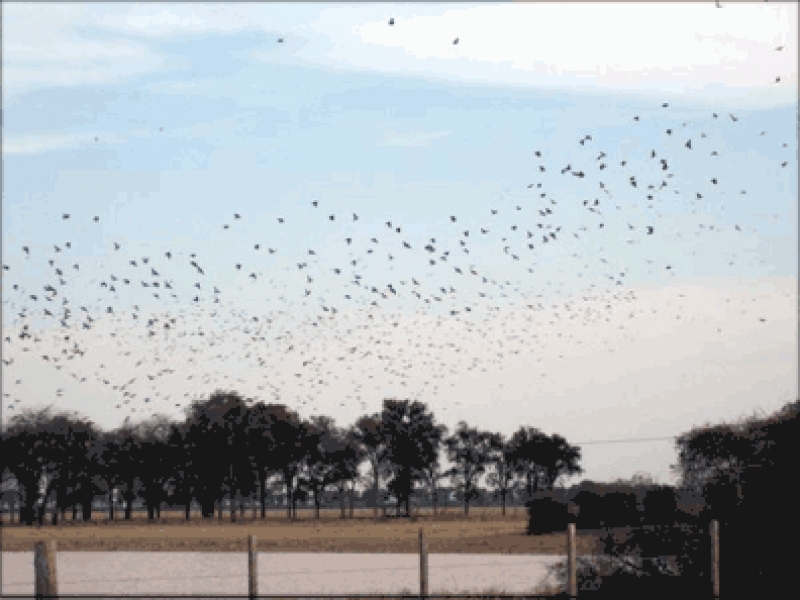 Seasons and Dates – Argentina is synonymous with “dove shooting.” Volume wing shooting means doves as a rule, although there are liberal limits on ducks and the two common wild pigeons, Spotted Wing and Picazura. Dove season is open year round. Most people know that. High Season – Argentina climatic seasons are the opposite of ours; i.e. our Fall is their Spring, our Summer is their Winter, etc. It is cold there in July and warm there in February. Those are good things!!! Generally, mid-March through mid-August is called the High Season because it is their Fall and Winter, and the VARIETY of wing shooting that you can do includes not only doves, but ducks, pigeons, and perdiz – all the bird hunting opportunities. In addition, it is summer here in the US and you can actually go somewhere where the Fall and Winter temperatures exist, and hunt when it is hot and humid here. I like that aspect and you probably do too. This is really good to know in planning your trip, because you can dove shoot and duck hunt and pigeon hunt and perdiz hunt in May through August, with June, July, and early August being the absolute best times for ALL species, except doves (read on), and is usually referred to as High Season for pricing purposes. Low Season –You can generally shoot 1,000 rounds a day, or more, at doves no matter when you go to Argentina, BUT mid August to late February (called Low Season)is the really high season for doves and High Season (see above) is, in fact, the ‘not so high’ season for doves. What is referred to as Low Season by most outfitters is actually the very best season to be in Argentina for doves – period! It is called Low Season because you can’t duck hunt, except in the rice fields, which can be good, but you have to swat mosquitoes, and it isn’t what most people visualize when they think of duck hunting. You can’t perdiz hunt. You can have some limited pigeon shooting. Not so many things to hunt equals Low Season. However, dove populations soar between mid-August and late February, Argentina’s Spring and Summer. That’s the High Season for doves. During this six-month period, doves will nest four times and if a roost has one million birds in it at the beginning of the breeding season, there will be two to four times that many at the end of the breeding season if left unchecked. That’s a lot of birds. “Not so high” season on doves is basically mid-March through mid-August. There will still be uncountable numbers and more shooting than you have ever done in your life time, (1,000 shells a day, or more) but to see the spectacle that is Argentina dove shooting, their Spring and Summer (our Fall and Winter) are the best times. Obvious Costs and Not So Obvious Costs – Here are some obvious costs – you have to fly there, so you have Airfare, and you have to pay something when you get there, so you have what are referred to as Package Costs. Airfare – There are two choices for going to Argentina – Buenos Aires (BA) and Cordoba. If you book with an outfitter out of BA, you will be met at the airport and driven to your hunting area, which will be several hours from the city. 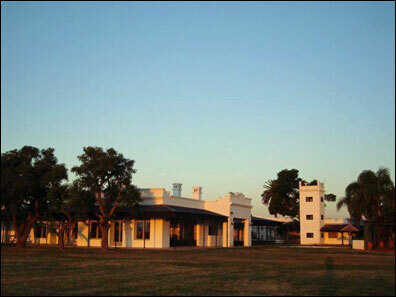 BA holds about one-third of Argentina’s population, so it is a very big city. A drive of three to four hours or more is not uncommon. Understand it, expect it, and realize that when you get where you are going, it is probably going to be worth it. Outfitters using Entre Rios province will have you fly to BA. Other outfitters located anywhere other than Cordoba will probably have you come to BA so you can take a domestic flight to a city near them. There are a number of flights to BA, and, overall, they are direct flights from most major cities, like New York, Atlanta, Baltimore/DC, Dallas, LA, and I am sure there are others. Domestic flights are out of another airport, and you may, or may not, make your connection on Day one of your trip. You may be “overnighting” in BA and catching an early morning domestic flight. Your outfitter should clue you in on this and provide most of the leg work, as in hotels and flight reservations, for you. If your outfitter is in, or is taking you to places like, Salta, Santa Fe, Santiago del Estero, Corrientes, Parana, and others, even Cordoba, you may be a candidate for a day in BA. Usually your outfitter can arrange your internal airfare if required, or your travel agent, but you want all that figured out, before you leave the US, especially if you are bringing your own guns. Upside – BA has the most domestic flights to get you anywhere in the country. BA is called the Paris of the South. If you want to spend a day or two there, go for it. I doubt that you will be disappointed. Downside – you are going to add at least one day to your itinerary if you do any domestic flying, and many people want to go hunting, not necessarily see the sights. More simply – Know where your outfitter is hunting and what is entailed to get to where he is. Your other flight option is Cordoba. This too has become a relatively simple exercise and from most major cities in the US, you fly to Santiago, Chile, have about a two hour layover, and fly from Santiago directly to Cordoba. There are direct flights being added, and changed, pretty often, so check availability. As of this writing, a new direct flight from Lima, Peru, will take you to Cordoba; and there is also one from Panama City, Panama. Your outfitter will meet you at the airport in Cordoba, and, as with all outfitters, this is where your “package” begins. Note that new and cheaper flights can also be inconvenient flights, as in having you arrive at one airport at 1:00 AM and your final destination at 4:00 AM. If you can’t sleep on a plane and don’t care about when you get there, there are probably some good less expensive airfares available. Of course, your outfitter won’t be keen on meeting you at the airport at 4:00 AM, but one or more of his staff will gladly be there and get you to wherever you need to go. Plus, having been awake for most of the night, the first days hunt may be a blur. If you are planning on coming between August and February to dove shoot, (again the best time), the days are long. If you arrive in Cordoba in early afternoon, you can dove hunt your first day and have a great time. There is currently a flight that gets to Cordoba from Santiago by 11:00 and another that gets in about 2:00. Either will work during Argentina’s Fall and Summer months. Okay, COST – Airfares to BA will run as cheap as $700 to $800 RT from major American cities, maybe lower, if you catch some sort of sale going on. (I recently saw a round-trip airfare from Miami to BA for $450, but that didn’t last long.) From BA to about anywhere in Argentina shouldn’t cost you more than $300 US, and RT flights to Cordoba, for example, are around $150 to $200 at this writing. The flights from major US cities to Cordoba are slightly higher. You can usually find a flight in the $1100 range if you plan ahead and pay attention, maybe less if you are lucky. Some of the Travel Search Engines will set up alerts for you if airfares rise or drop for you destinations and time frame, so plan ahead. A word about travel times from Cordoba and other cities to your hunt destination – there will be a drive. Like BA, you will have to travel from the airport to wherever your outfitter has his lodge. That can be as short as one hour or as long as 3 or 4 or 5 hours. Ask about this, don’t be surprised! Package Costs – I am putting this under Obvious Costs, since everybody knows you have to pay for something on that end. This is worth the time to explain and, if you pay attention, you will have a good understanding of what you are purchasing. Every outfitter has some sort of basic “PRICE.” The lower the number, the closer you are to the actual operating costs for that particular outfitter. Let’s face it, outfitters are in the business to make money; and if they aren’t, they go out of business – Business 101. Anything that reads, “Special Offer,” or “For a Limited Time,” or “Last Minute Deal” is most likely a number closest to an outfitters bottom line number – what it costs to keep the doors open. I will give you a for instance. If you read an ad that says, “Special - Three Days of Dove Shooting for $900 – Only Available for the next two weeks,” your outfitter has no one in house and is offering a day rate at a cost for him to keep the doors open of $300 per day. $900 divided by 3 days – simple math. If the add says $1200 for 3 days, that outfitter has a base cost of $400. Often times, they give you the day rate in small print somewhere at the bottom under the title “Additional Day – $$$$$,” with the dollar signs here representing the actual number you would see. These numbers are your base number, your package cost, the cost to play. It is an actual number, but not the TOTAL number. Your package will include, as a rule, transportation to and from the airport and to and from the fields, your meals, lodging, “use” of a bird boy, soft drinks, open bar after the hunt – as many things as they can think of to show you that you are getting your money’s worth. And, for the most part, you will always get “your money’s worth.” More on that later under Value. Let’s say you have your plane ticket for $1100 and have booked a three day shoot for $900, a really good rate. Your total expenditure – $2,000, and anybody in today’s middle class work force can make that number, so you are there. Right? Not hardly. Not So Obvious Costs – These are the numbers you need to know and account for if your wing shooting odyssey to Argentina is going to be the greatest shotgun shooting event of your life. Otherwise, you will feel that you have been taken advantage of and that the trips costs were far more than you expected. $260, and so on. You can do the math. Gun Importation and/or Rental – Okay, now you’re there and you need something to shoot with. If you want to bring your own gun(s), it is not difficult to do. Yes, you are going to worry about your gun getting there – buy insurance. I, personally, have never had one lost or stolen in 20 years, but things do happen. You will never have the opportunity to “marry” your shotgun like you will in Argentina. If shooting your own gun is important to you, bring it. Your outfitter will help you with the paperwork and even arrange for someone to help you at the airport in BA. In Cordoba, bringing your own gun puts you at the head of the line and gets you through customs quicker. The cost – $100 per gun (another government fee, not your outfitter’s), and you will need two. Guns get hot. Add $200 to your trip. If you don’t care what you shoot, most outfitters have Beretta’s or Benelli’s. Most of the guns will be automatics, mostly 20’s, sometimes 12’s, and hold four shells. 20 gauge autos have less recoil, and most people aren’t used to volume shooting – 1,000+ shells a day for 3 or four days straight. You will also find some over and unders, usually Beretta’s, but ask you outfitter. If he has a gun similar to what you normally shoot, don’t bother bringing yours, use his. Rental guns run $50 a day as an industry standard. Hunt three days, add $150 to your cost, four days, add $200. Most outfitters will have additional guns in the field in case of breakage or malfunctions, and, yes, at some point in time, they all have problems. No gun, no matter what the manufacturers say, are meant to shoot the volume of shells that a single gun may see over the course of one year. Gun costs (new ones and replacements) and maintenance (of old ones) are very high in Argentina, often twice the costs of similar makes and models here in the US (Argentina government pricing again). Shells – As of this writing, quality 12 and 20 gauge shells are running $12 a box to the hunter. (Ammo manufacturers want a piece of the pie too.) A case of shells in Argentina is 500, not the 250 shell ‘flats’ we have here. At $12 per box, that is $240 a case. Plan on shooting a minimum of 2,000 shells (4 cases) in three days. There is a 99% chance you will shoot at least 3,000, but let’s assume you get sore and don’t’ shoot so much the last day. My first trip, 20 years ago, I shot 1,500 the first day through two 20 gauge o/u’s, and everyday there after – 4,500 in three days. Don’t be surprised if you do too. Four cases of shells will cost you $960; six cases will cost you $1440 (more than your plane ticket); plan on shooting more than you think and budget for it. Look at what outfitters are offering you. Some will offer packages with 1,000, 2,000, or 3,000 shells. Remember outfitters must make money, or break even, to stay in business. The cost of those shells is somewhere in the number you see, whether the outfitter has included them at cost or is planning on making ends meet through the couple of dollars he makes through shells sales, or by trying to get groups with the “deal” to lower his overhead costs, there are no such things as “FREE” anything. Pricing is one man’s way of looking at numbers – that’s all, and you need to remember that. Outfitters are not stupid. If they are, they go broke, and you are the one who gets left with a less than satisfactory experience. Here are some rules of thumb again. You will most likely have a whole bevy of people waiting on you – bird boys first and foremost. Often there is a Guide, who is in charge of the bird boys and is also responsible for where you hunt. His job is to make sure you are in the best place, seeing and shooting at the most birds. You will probably have a chef or cook. Maybe you will have a waiter and/or a bartender. You will usually have daily maid service, someone who cleans your room and bath room, makes your bed, and looks after the lodge as well. Some outfitters use an interpreter with American groups. The interpreter acts as your driver also, serves as the link between you and the bird boys and guide, is up before you to wake you up in the morning, stays up with you on those late night social hours, checks on you in the field to make sure you have everything you need, and represents the outfitter. Some outfitters have a masseuse – certified Physical Therapists – who can make those sore shoulders well again. The point – Tipping can get quite complicated and expensive. Here is how to figure what to do. Bird boys usually are non-salaried employees. Their tip, except for some small day fee, a few pesos, paid by the outfitter, is what they make. They do a lot for you, as in carry everything out to the field, get your water or soft drinks, make sure you have shells, pick up all the hulls, and birds, and police the area when you leave, and, often, will even load your gun for you- thereby saving a lot of wear and tear on your thumb if you are using an automatic. Currently, $30 per day is the going rate for bird boys. Hunt three days, give him $90. Did you like him, make a connection; think he did a good job? Give him $100. He is YOUR guy. Most of the rest of the staff fall into a Group Tip category, again, as a rule. Many are salaried but not at anywhere near what we consider a decent salary here in the US. What you do individually is, well, duh, up to you, but the group should pool money for the chef, cleaning people, and wait staff. If you have a group of four hunters for three days, and everyone pitches in $25 to $40; that is probably fine for the Staff. If everyone pitches in $25 for the guide, who may be salaried as well, he gets $100, and that is good too. Your interpreter, if you have one, is an important person as well. He is probably not salaried and only works when there is a need. If each member of a group of four contributes $50, he makes $200 for his three days and that is good as well. Okay, $100 to your bird boy, and your part for the rest comes to another $100 roughly. Allow $200 to $300 for tips. If you don’t spend it all, you come home with money and you know you took care of everyone. Oh, don’t forget the baggage handlers at the airport, many of whom speak English and get your through customs and gun importation without a hitch – another $10 to $20. Miscellaneous – Most outfitters have an area where they offer items for purchase. These could be hand-made items, like knives, belts, or jewelry in silver or with Argentine or Chilean semiprecious stones. Sometimes they offer clothing – shirts, hats, T-shirts with their logo. And sometimes, they offer quality leather goods – Carpinche leather articles, like hand bags, wallets and hats, or maybe silk scarves, leather gun cases, etc. Most people buy something as a memento or gift for someone back home. You will too. Okay, that is your basic Primer on going to South America. But wait, there’s more (as Billy Mays would have said). Let’s talk about value and what you are GENUINELY looking for in your Argentina experience. This is your chance to look at yourself and what this really means to you. birds, food, digs – it’s going to cost a little more; it has to; and the higher the scale, the more the cost. If you have lots of money and want all the creature comforts possible, find the most expensive outfitter and go with him. Got money? Fly first class or business. It is a lot more comfortable. Here is a list of questions you need to ask yourself, followed by ones you should ask your outfitter. If you like them, use them. The answers to the questions may make your trip the Value you want it to be. What Is Most ImportantTo me? 1. What is most important to me? Get a sheet of paper and rank these in order of importance. Concentrate on outfitters who fulfill your first three or four “most important” items. 2. How far in advance do I need to plan to go to get the best airfares? 3. What do I want to do on my first hunt? (or ‘next’ hunt, if appropriate) Only doves? Doves and pigeons? How about ducks this time? 4. How long can I be away from work? Three day hunt, four day, five day with a day in Cordoba or BA, and one day of travel on each end? 5. How many people can I get to go with me? And, am I willing to go by myself? 6. What is my ideal time to go? 7. What is available to hunt at my ideal time? 8. Would I rather go in their Spring, Summer, Fall, or Winter? 10. Who do I know that has been there and can tell me about what to expect? Why should I visit your lodge instead of any other lodge in Argentina? What kind of guarantees do you offer, say if one day of my hunt got rained out? Can you give me five references who have been there within the past month? How far are you from the BA airport, or the Cordoba Airport? How will I get to the lodge? Who will be meeting me at the airport? How will I recognize you when I get to the airport terminal, or how will you recognize me? How do you transport hunters to the lodge and to the field? Is there a way for me to get shells cheaper than your advertised price? What kinds of fields will I be hunting? How many guests will be in the lodge when my group is there? I am bringing my own gun, do you have gun cleaning services? If so, what do they cost? Do you have US phone service? What does it cost? What is your tipping policy and to whom? Is there any discount for cash? Do you have converters for US electric devices like razors, or do I need to bring them? Do I need hunting boots, or will casual boots or shoes do? Tell me what a typical day in the field will be like. What kinds of clothing should I bring? Do you have strap-on recoil pads if needed? For rent or sale? Are the rooms individually heated and cooled? Is there daily maid service? How about laundry service? And anything else you can think of. This is a service business, and you are the customer. Plan, ask, do. It is one of the greatest times in recent history to go to Argentina. Outfitters want your business. Airlines want your business. All you have to do is make your plan, and work the plan – this year, next year, pick a year. See you in Argentina. John Wiles is the American Partner of SYC Sporting Adventures, and the managing Partner of B&W Sporting, LLC, both of which provide wingshooting packages in Argentina and around the world. For more information about wingshooting opportunities in Argentina, please visit their web site at http://www.sycsporting.com. Have more questions? Call him at home at 352-465-3888 in the evening. He will help you.